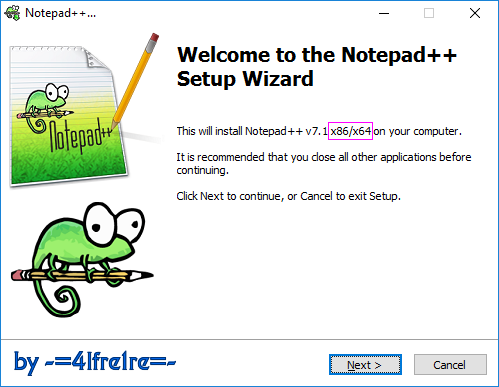 Due to a critical regression, Notepad++ 6.8.9 release has been removed from the website. 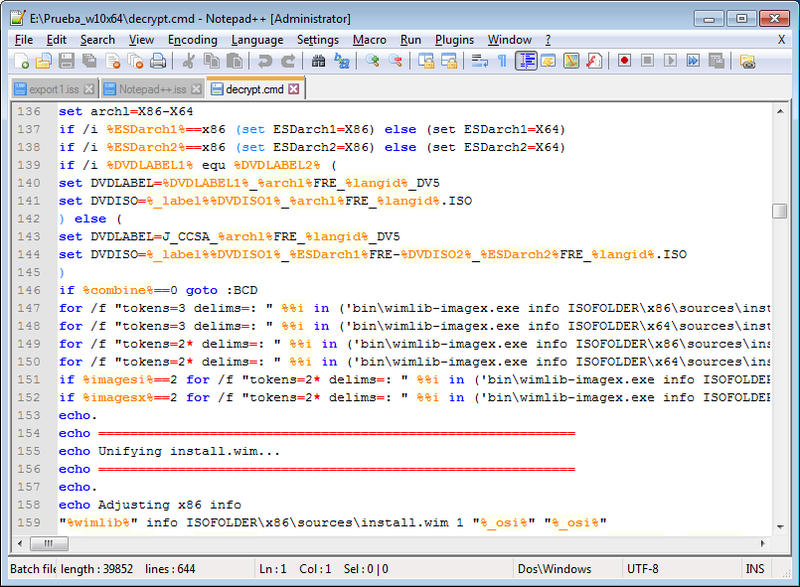 The regression is a crash issue : while user switches off from Notepad++ and an opened document is modified outside, user switches back to Notepad++ and answer YES for reloading the modified document - then the crash happens. 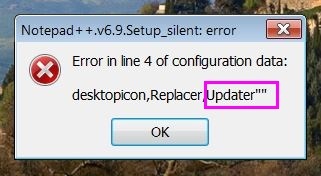 The new release 6.8.10 to fix this regression will be available soon. In the meantime, please downgrade to v6.8.8. 1. Add “Folder as Workspace” feature. 2. 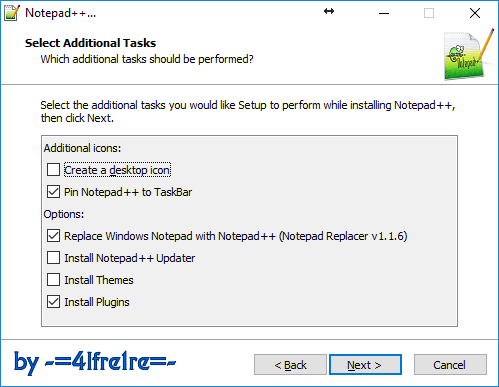 Fix Notepad++ hanging issue while user uses touchscreen to activate Notepad++ window. 3. HTML auto-close tag enhancement: Prevent <br>, <hr>, <img>, <link> and <meta> from being closed automatically. 4. Project enhancement: Allows user defined extension to associate workspace file. 5. Make behavior of SHIFT+END and SHIFT+HOME more consistent when word wrapping is enabled. 6. Add new API NPPM_SAVEFILE (for plugins) to save any file, not only the focused one. 7. Add file extensions for FreePascal/Lazarus pascal, lex (as C). you forgot the DL-Link... . It means SFX-Maker has problems with some programs to pass the switches in the right way. With the command-line it works perfectly too. but compiled properly without it.